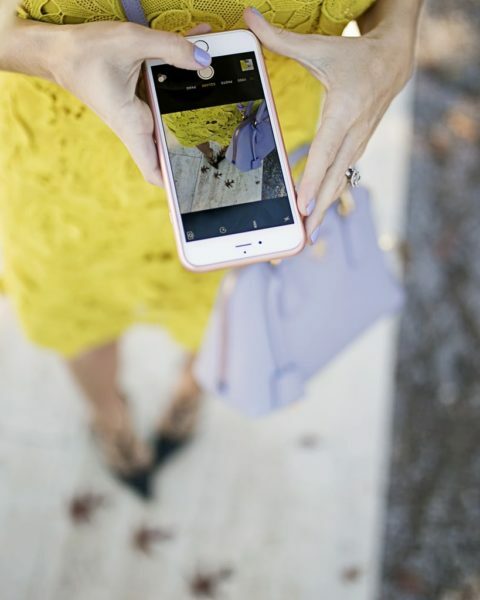 With spring right around the corner, you’re about to be seeing silk scarves everywhere! 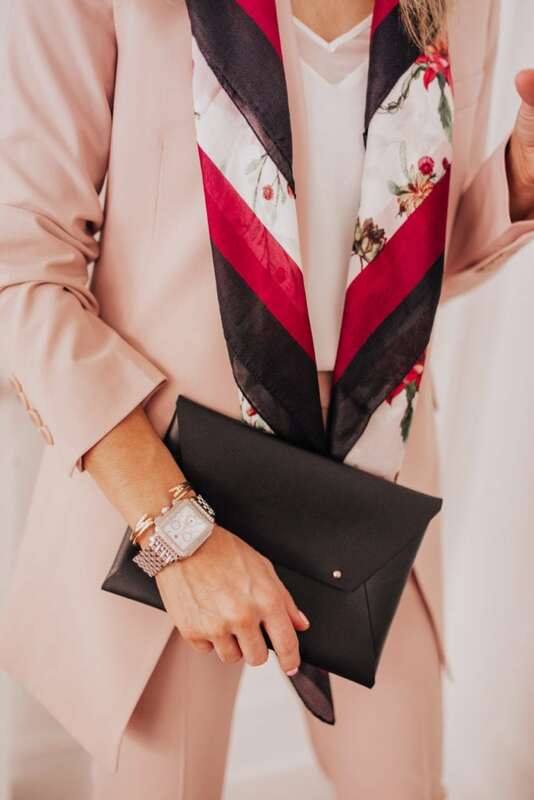 From tying a scarf to a handbag to using it as a hair accessory, silk scarves should be one of the most versatile accessories you have in your closet. I brought one to Scottsdale and y’all loved it paired with my yellow sweater. 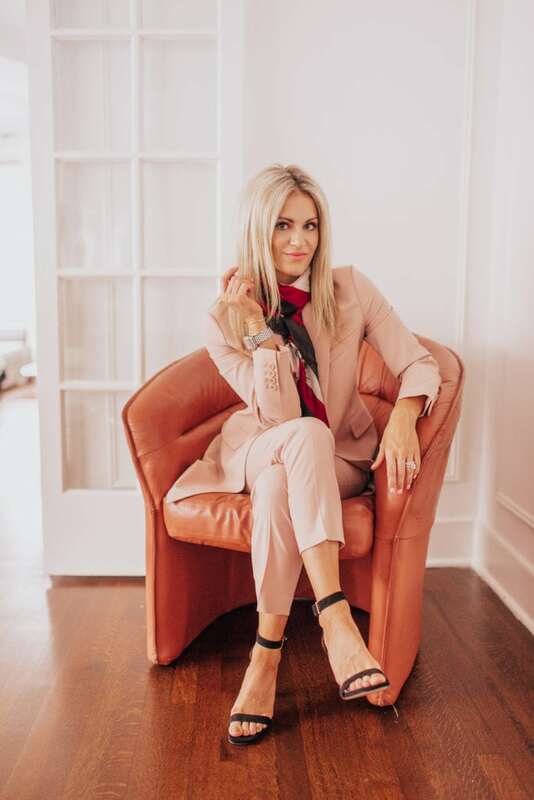 I recently got the try out the Rachel Zoe Box of Style. It’s a curated beauty box valued at over $400 worth of fashion and beauty finds for just $74.99. This video isn’t sponsored, but I am working with them on Instagram for a discount code with y’all. Code KATEY25 gets you $25 off your first box of style. I wanted to make this video because I loved this scarf so much and thought it could give you some ideas if you order the box or have some silk scarves hanging up in your closet! Let me know how you wear a silk scarf! I just wore a silk scarf in my hair last week with a messy bun! They’re so fun for spring. So much fun!! 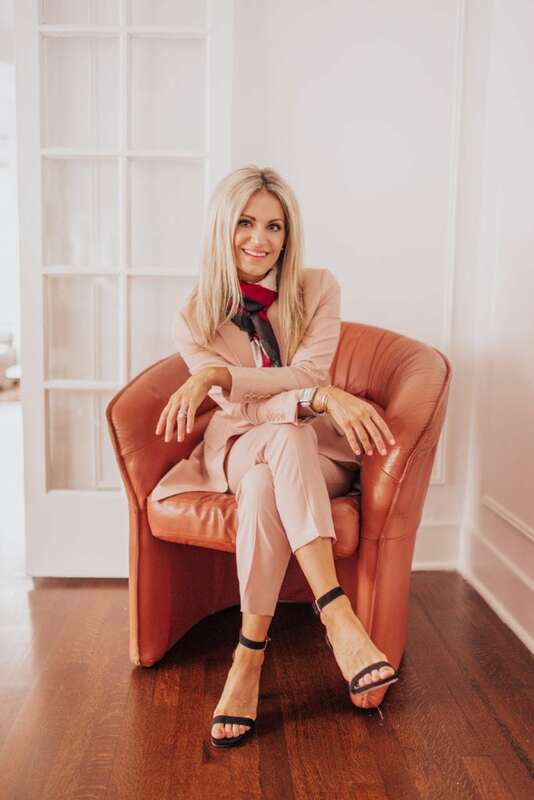 Absolutely love the suit on you with the scarf – looks amazing! Love the outfit!! Where is the suit from? 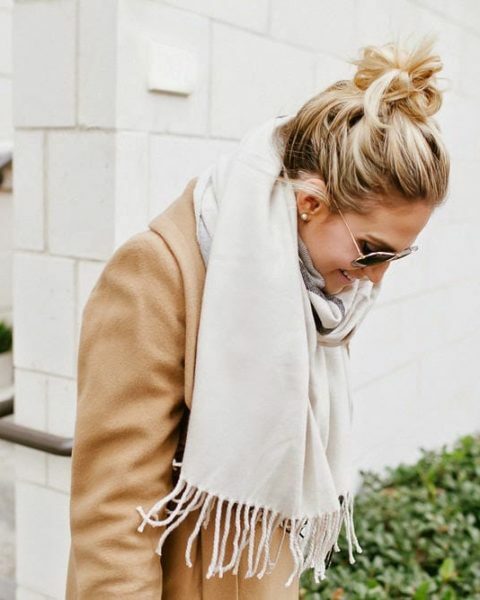 I just ordered the style box and I can’t wait for that scarf! Excellent job Katey!!!! Great video effects in this tutorial!!! Love this suit on you, stunning! Where is your denim from in the first picture?